This year, I finally got to go to NAB. I’ve wanted to go for probably 15 years now. It was good to--mainly because I spent the day with some good friends--but overall, it was a bit of a disappointment. Perhaps it was because it is so huge and I didn’t really have enough time to see everything, or even go through a hall in an organized manner. Or maybe it was because there wasn’t that much to see that was new and different (except for 3D, which was everywhere, more in a moment). There were a few bright spots, however. One of the main reasons I went to NAB was to look at the SD8. We almost couldn’t find one. Thankfully, we tracked one down at the Intel booth (oddly) where I not only got a full tour from one of the top Digico guys in the US, I also met Tony Luna, who has done FOH for, oh, a few shows. As a guy who can mix on anything he wants to, he told me why he likes the SD7 and SD8. It was good to hear from someone who really knows his stuff. I’ve spent the last few weeks playing with the console software and am pretty much blown away by the power, configurability and ease of use. I wanted to get my hands on the surface and came away as enthusiastic as ever. The SD8 has a ton of power and is amazingly flexible. 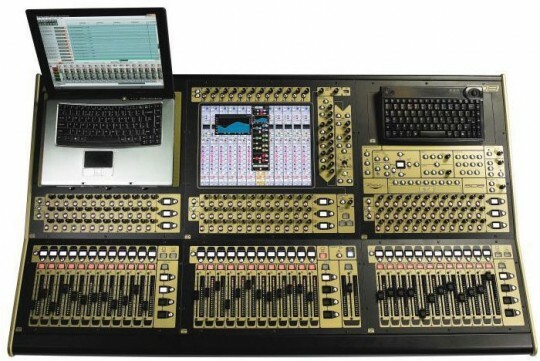 My current goal is to replace our PM-5D EX at FOH with the SD8. I hope to have a demo in our room in a few weeks; more info to come. Another item of note was at the DPA booth. After talking with Bruce Myers about the forthcoming choir and piano mics, he showed up another cool mic; the 5100 5.1 surround sound mic. It’s a lot like the Holophone (for which DPA developed the elements), only better. He showed us some demos and I have to say, it was pretty impressive. The localization was amazing, even with only stereo headphones on. They had a 5.1 speaker system set up with some recorded samples, and I was quite impressed not only with the surround effect, but with the clarity of the system. I’m not sure how much application this mic will have in the church production world, but it’s certainly cool. I wrote about the Atem after WFX last fall; since then a few things have changed. 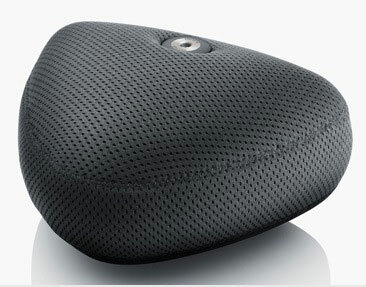 First, Echolab will no longer be selling the Atem, sales are moving to Harris. It will still be made by Echolab, so there won’t be any change in quality or feature set (actually, a new software update adds features). Second, there are some new versions. The original Atem is a single ME, 10 in, 8 out chassis. There is now a 18 in, 10 out chassis available, as well as a 2 ME version. The larger chassis will make it a perfect choice for churches who need more than the original 10 inputs. Adding a second ME will make it easier to do advanced mixing on multiple busses. I’m not sure how many people will actually need the second ME, however as there are some cool new tricks rolled out in a new software update. The big thing is that you can now dissolve (and I think wipe) on an Aux. If that doesn’t immediately excite you, consider this use case. Let’s say you have a building with three screens. And let’s say the center screen is fed by the main ME, and the two side screens are fed from Aux 1 and 2. You could have Aux 1 being fed by source A, Aux 2 being fed by source B. With the new system, you can pre-select source C & D to go to Aux 1 & 2 respectively; hit the take button and both screens dissolve to their new sources--all without using the ME. 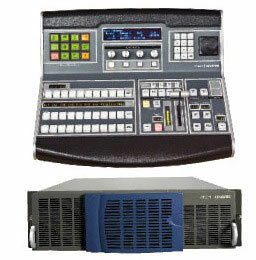 Combined with the amazingly powerful Super Source feature, the Atem is one super switcher. I hope to install one this summer at Coast once our budget is approved, so you’ll be hearing a lot more about it shortly. That’s about it for my NAB wrap up.